The Town of Davie Demo/Clinic was a huge success. We had over 70 people. Town of Davie Pine Island Park now has 5 pickleball courts. 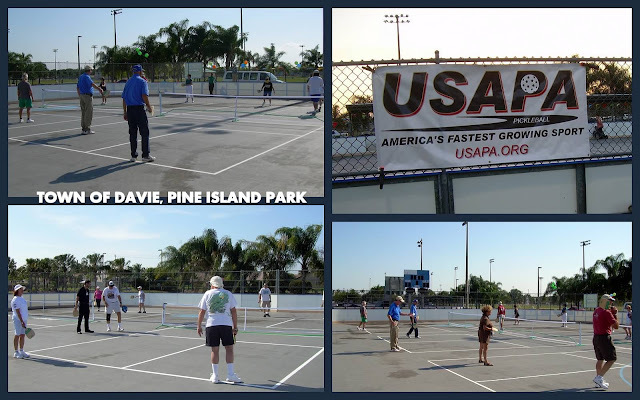 This is the largest Pickleball Facility in Broward County. I want to thank Marty, Darren, Jeff, Dennis, Jan and Michael, and Pickles for their help in this great event.